My husband and I went on the 2 day tour of Machu Picchu, with a sunrise climb of Waynu Picchu (pictured). Karikuy Tours took care of us from start to finish. They came to our hotel in Cusco about 6pm the night before to meet with us in person and answer all of our questions about what to bring and what to expect. They also give you all your tickets for the multiple buses, trains and entry points you go through and explained each one. I was pretty nervous catching the multiple buses and trains and finding our accom so I really appreciated this level of service! About 5am the next morning, a tour shuttle bus came to our hotel and picked us up. It took about 3 hours to drive to the train station. It took a bit of time to pick up all these other people from their hotels (which frankly is very annoying, long and tedious but it happened on every tour I went on so I think this is the standard in Cusco). From here, we boarded the train. We sat in economy but honestly I was super impressed with how clean and comfortable the train was. The ride to Aguas Calientes (the town at the bottom of Machu Picchu) was gorgeous and there’s windows on the roof so you can even see up! We were served drinks and snacks (all included) on our train ride. There was some confusion when we got off the train. Our guide was late to turn up so they sent someone else who spoke absolutely no English. Downloading an app onto your phone that works without wifi is a MUST. Fortunately, we managed to peek over this girls shoulder and see our names were written down on a piece of paper - sheer luck! Once our English-speaking tour guide turned up 15 minutes later, things got much easier. He arranged for a person from our hostel to take all our luggage back to our room (remember to lock your bags and keep all your valuables on you, I got to the hostel to find my bag completely open but nothing taken thankfully - but it’s not worth the risk!). Our guide then escorted us through Aguas Calientes, showed us the location of our hostel, and then took us to the bus that would take us up to Machu Picchu. He even told us the best side of the bus to sit on for the greatest view! The buses are comfortable and it takes 20-30mins to get up narrow winding roads. Our guide then accompanied us through the gate to Machu Picchu, showing us what tickets we needed to be scanned. It was pouring rain when we arrived and a complete whiteout. Despite this, we had an amazing time with our tour guide. We had a guide all to ourselves - just the two of us! He spoke amazing English and answered all our many questions, he was incredibly knowledgeable. You cannot go to Machu Picchu without getting a tour - there is soo much to learn! If somehow you find your own way to Machu Picchu, there are plenty of guides waiting outside the gates who speak great English and you can book on the spot. Our guide took us to get our passports stamped with the special Machu Picchu stamp! After our tour, he then left us, but not before explaining when and where to use all our remaining tickets. So helpful! Fortunately the whiteout cleared after 4 hours, and after exploring the wonder that is Machu Picchu by ourselves, we took the bus down the mountain and walked to our hostel. I don’t have high expectations for hostels, but no one in the hostel spoke English (this is when that app comes in handy!). Our bags that they were holding were also unzipped. The next day we took the bus back up the mountain ourselves to climb Waynu Picchu. We had much better weather this day and the view was simply amazing! However, when it was time to head down, all the bus drivers had gone on strike! We didn’t get refunded for our ticket, and my poor husband had busted his knee during the climb, so he had to hobble for over 2 hours down the mountain. There were loud protests in the square of Aguascalientes when we got to the bottom, but they weren’t violent thankfully. We ran to our hostel, grabbed our things, and just made the train with 5 minutes to spare. At the train station, a man from the tour company was waiting for us to drive us back to our hotel - thank goodness there were no other people in the car or multiple hotel stops, we were exhausted! All in all, the tour company were great compared to going it alone, but there were still a few cons. 3.5 stars. Our 5 day trek to Salktantay was incredible. Our guide, Mari, was excellent and did an awesome job at handling the 13 of us... Even when we were perpetually late and trying to get lost. The views were incredible, the company was even better, and the food was among the best we had on the entire trip. Highly recommend!! My boyfriend and I did the sunrise 2 day tour of Machu Picchu with the second day morning hike up Huayna Picchu. I cannot imagine with the lines and number of people doing this tour any other way than having someone arrange all the various transportation, know when to get into line and what to expect. My only criticism was the lodging. They put us in the Denny's hostal in Aguas Calientes that for one of the two days had NO RUNNING WATER> Not ideal after a long day of sunshine, sweat and crowds. But overall, good experience. Karikuy's Response: Thank you for the review! Unfortunatley Aguas Calientes suffers from water shortages, all hotels and most hostels store water for emergencies but if the hotel or hostel is full these only last a couple hours. We apologize for the inconveniance, it is not a situation we can control and is up to the local government and utility company to remedy. I just returned from Peru, having finished the 4 day/3 night Salkantay Tour. From start to finish the tour was flawless, obviously meticulously planned out. The staff was excellent and the meals were more than adequate. Our lead tour guide, Nealto (or Neil, or "Coach" - sorry for the bad spelling) was a standout. He was very personable and extremely knowledgeable about the trail as well as local and historic Inca customs. He also demonstrated that he genuinely cares about each individual person's needs and treated every single person with the utmost respect and kindness. I hope that he receives the recognition that he deserves. Traveled to Peru this past May for 9 days and was the best adventure trip I've done so far. 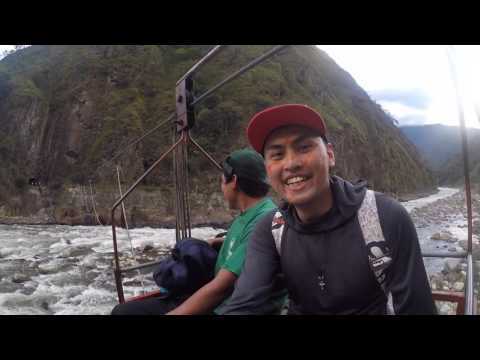 I attached a video of my whole trip including the 4 day jungle inca trek and Rainbow mountain tour I booked via Karikuy. I love the tours. The guide contacted us the day or night before to let us know what we needed. I recommend the Jungle Inca Trek to Machu picchu to anyone who not only want to hike the inca trail but also experience adventure along the way. Cycling down a mountain was amazing, water rafting in Class IV was no joke either, and ziplining in the mountains in 5 different positions was both scary and exciting as well. Best of all, the 16 mile hike may sound so intimidating and impossible but it was the best part for me. Going thru mountains, jungle, river, meeting locals, learning about inca culture. It was the the most amazing time of my life. Finally, the Machu Picchu itself was a whole new world, truly is majestic. Its my first wonder of the world and it absolutely encouraged me to travel and see the other wonders of the world. And the cherry to the cake, we had the best guide Jhimmy!!! He is the funniest and nicest guide ever. Our group will never forget him.